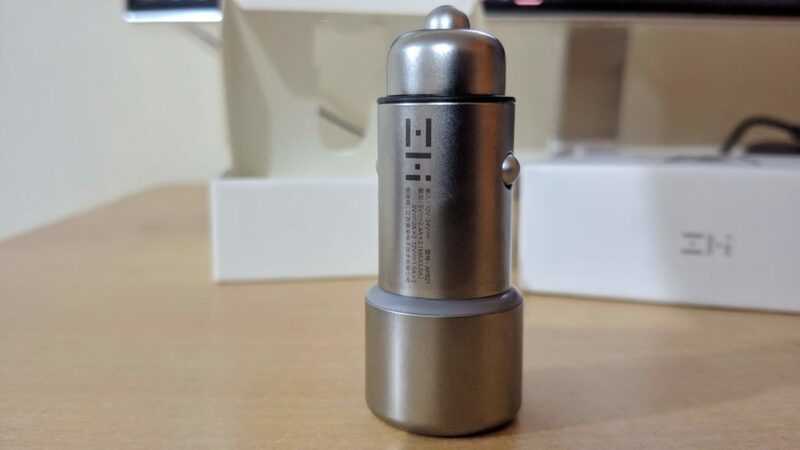 Xiaomi ZMI Dual USB Car Charger Unit is one of the best branded USB Car chargers that give you the best value for money. This product will fulfill all your requirements while being strong and durable. We have come leaps in technology, still, no device has been yet manufactured that’s doesn’t require regular charging. Whenever you commute or go on long trips, you will find yourself in a need of a reliable USB charger to keep up with your power needs. A USB car charger is a small adapter plugged into the cigarette/accessory port that is found virtually in almost all cars. Though these small devices don’t differ so much from each other all that much, there are some factors to consider before buying one. 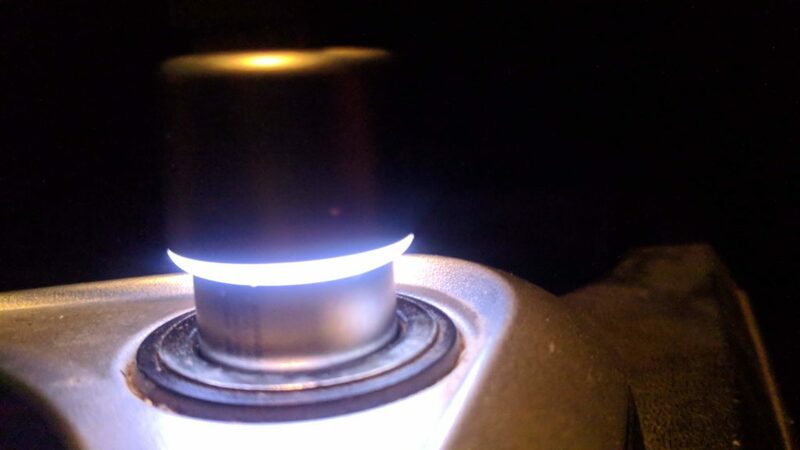 In this article, we will be explaining to you what to look in a USB car charger and even choose one for you. Almost all latest smartphones come with a form of fast charging. The most common is the Qualcomm Quick Charging though there are others like Samsung Adaptive Fast Charge and Apple PD. These standards enable you to charge your phone faster without degrading the long-time performance of the battery. Make sure to check this factor while buying USB Car Charger or you will be left frustrated with slower charging speeds. Smartphones usually require only 1.0 Amps (1000 mAh). A good charger will provide at least 2.1 Amps (2100 mA) per USB port which means you should look for a 4.8A USB car charger which will provide more than sufficient charge for two iPads. If the AMP output per port is below the 2.1 Amps per USB port, it will be sufficient for two smartphones but not a tablet. If you are the type that carries multiple devices on your go, a car charger with a single port isn’t going to work for you. So a USB charger with multiple points can save you time as well the hassle of remembering to switch off between powering different devices. Additionally, it helps your fellow passengers. It’s no secret that cables are prone to failing. A USB Car Charger should not have a permanently attached cable for convenience purposes. A flexible cable works better as you will not have to buy a new charger in case the cable fails. Thus, look for a USB Car Charger that comes with a permanent cable you can replace it in case it fails. Size is also important while considering a USB Car Charger. This is a must-see if the 12V lighter/power point is located close to the driver controls. It should not obstruct or distract while driving. Don’t just buy a Car Charger just because it’s cheap. You will find a lot of companies with many of them you have never heard of. Stick with the names that are generally trusted. Brand name matters as the unbranded ones tend to stop working after some time. Also, unbranded ones will not likely to gives you the number of features that are being offered by the branded ones. 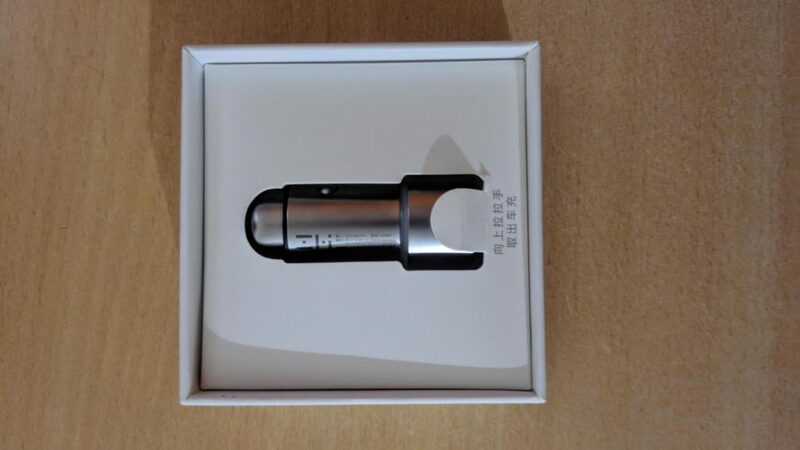 Xiaomi ZMI Dual USB Car Charger is well built with Copper as the material of the frame that helps in heat dissipation as well as looking fashionable and exquisite. Other treatments include CNC milling, integrated molding, polishing, plating, laser etching, and 18 such other procedures before the product is ready for the market. The result is an integrated design and a premium silver finish that adds to the beauty of the interior of any car. It is available in a silver color and has two metal buttons on the side. Though Xiaomi is mainly known for its smartphones, it manufactures a wide range of products from Drones to Fitness Bands. This USB product is in the line of the company’s philosophy of bringing premium features at an affordable price. Xiaomi’s ZMI USB Car Charger is the perfect USB Charger for your charging demands during your journey. The Xiaomi’s ZMI USB Car comes with two USB ports which allow you to charge two devices simultaneously. The USB Car Charger is specially built for Quick Charge 3.0 devices. So, if you have a device with Qualcomm Chipset that supports Quick Charge technology, you shouldn’t look for other Chargers in the market. It supports up to 18W for Each Port. The Xiaomi’s ZMI USB Car Charger houses a built-in intelligent chip to deliver fast charging speed in your phones and tablets. The High-Quality Circuit Control Chip boasts features like overcurrent protection, short-circuit protection, over-voltage protection, electromagnetic interference protection, and high-temperature protection. There is an MCU Temperature Control System that adjusts the output power according to the temperature even in the hot day in summer. The charger is compatible with both DC sockets found in cars (12V/24V) and supports different sizes of car charger and power interface. It has Pure Color LED lights in it which is meshed with semi-transparent PC into its diaphragm. The lights are well distributed and don’t cause dizziness. Moreover, this Xiaomi’s ZMI USB Car can distinguish between devices and adjust the output power accordingly. It delivers up to 95% power conversion resulting in a better charging experience. It is suitable for popular phones like Xiaomi, Apple, Samsung, HTC, Google, Blackberry and other electronic devices like tablets, digital camera and even for the 12 inch Apple MacBook that is equipped with a USB Type-C port. 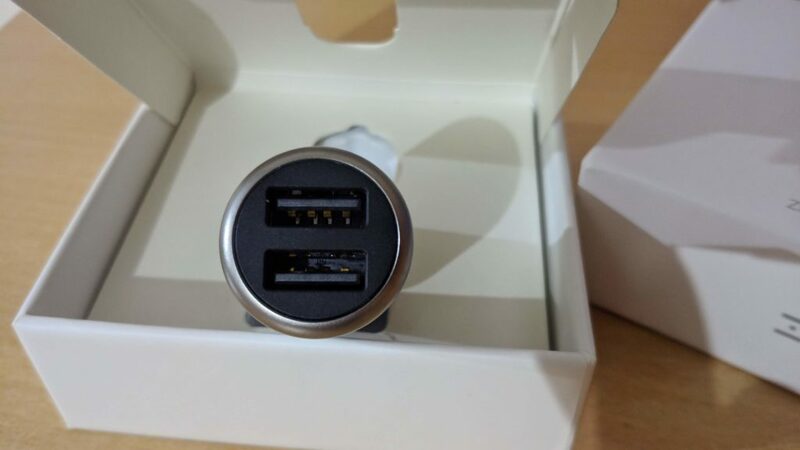 The Xiaomi ZMI Dual USB Car Charger Unit that we tested charged our Quick Charge 3.0 devices quickly and efficiently. Power distribution is good and works well when we connected multiple devices. It has a nice solid sturdy feel to it but sometimes feels a bit too lengthy and heavy. The electrical ports work well and didn’t create any sort of electrical disturbances. The LED light is soft and didn’t distract during night driving. We didn’t find any English Manual but it was not necessary and is just plug and play. 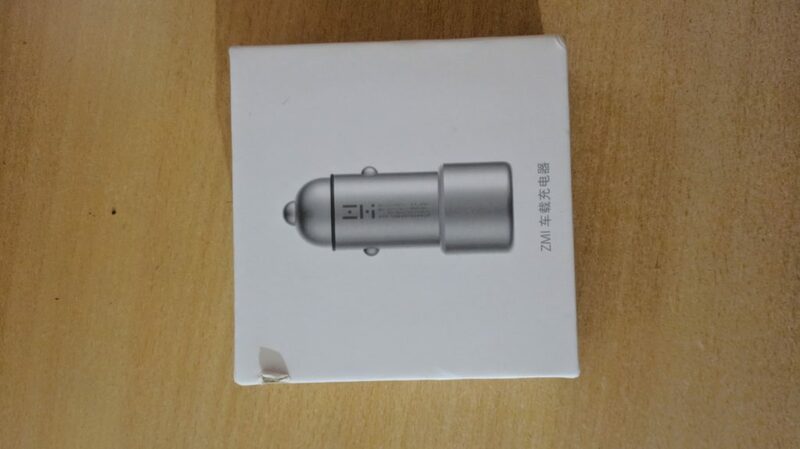 There is not much in the retail box of the Xiaomi ZMI Dual USB Car Charger. There is only the charger but it justifies it with its cheaper price. With a good quality USB cable, it charges quite fast. If you haven’t ordered one yet, go to this link and buy yourself one. Xiaomi ZMI Dual USB Car Charger Unit is one of the best-branded USB Car chargers that give you the best value for money. This product will fulfill all your requirements while being strong and durable. Its design and plethora of features it offers makes it one of the best, if not the best USB Car Chargers in the market. Next articleTanix TX6 TV Box Review: Best Value for Money Android TV Box Yet?